So, on our first day of Christmas is RKOI by Coil Spill E-Liquid. RKOI is an amazing strawberry champagne flavor that is both refreshing and full of flavor. It is definitely an alcohol flavor worth celebrating with. It is also a five star flavor on our retail website with most saying that it has a strong strawberry flavor with a touch of champagne at the end. We have this available in 60ml bottles and three different nic levels. It is on sale (25% off) at $14.99 a bottle. Next up on our holiday list is White Chocolate Mocha by Nitro's Cold Brew eJuice. The mixologists at Nitro's Cold Brew eJuice seem to know a thing or two about putting together a mocha blend of coffee. White Chocolate Mocha is a combination of a cold brewed coffee with white mocha that will bring your taste buds life! It is also a five star vape juice that is available in 100ml bottles and three different nic strengths. It sells for $24.99 a bottle. Coming in at number three is Just Reds E-Liquid. This is definitely our go-to candy flavor for the year. Just Reds E-Liquid is an astonishing mixture of strawberry, watermelon, cherry, and fruit punch, all with a candy flavor! This is one of those flavors that if you haven't tried it yet, you are really missing out. It's a great fruit candy mash-up that isn't too sweet, but just perfect. It is simply one of the best vapes on the market today! It's that good. We have this available in 100ml bottles and three different nic levels. As of today, it has five stars with over 40 reviews. It is also 25% off through the week for $22.50 a bottle. Get it while it is on sale! Our fourth day of Christmas brings Cinnaroo by Cloud Thieves eJuice. It doesn't take much to see that this is a take on Cinnamon Toast Crunch. However, they have added an extra kick of vanilla to go with it, giving it a completely different twist on it. This is really a great flavor worth giving a try to... It is also one of our best selling cereal flavors this year! 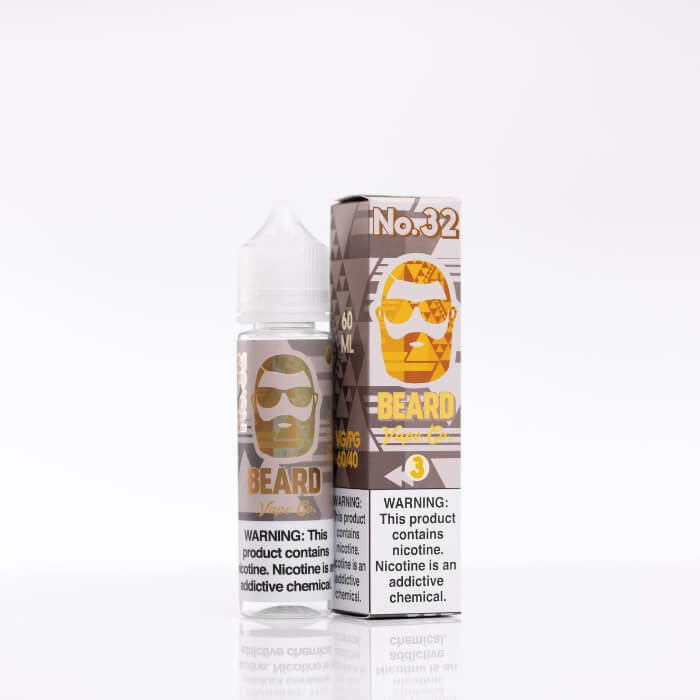 We have it available in the 60ml and 100ml bottles, with three different nicotine strengths. It is a five star reviewed vape juice that is currently running $25.00 a bottle in the 100ml. So, on the fifth day of Christmas, my true love gave to me... Corn Bread Puddin' by Country Clouds E-Juice. Honestly, I have wrote about this flavor in at least five or more blog articles. This is hands down one of the best dessert vapes I have ever tried. It is amazing. If you read the description, it doesn't sound like something you wold fall in love with, but it is. It is basically what it says, corn bread pudding. The mixture of the corn bread and the pudding makes this juice astounding! You will not find a better tasting dessert juice. So here is what we did... just to get you to try it. We have it in 60ml bottles at $19.95 a bottle - BUT... when you put it into your cart, it will take another 15% off the price, so it works out to $16.96 a bottle. It also has a five star rating with almost a hundred reviews. Coming in at number six on our list is Good Ol' Custard by Big Bottle Co. eJuice. This is bar none one of the best custards on the market. It is a simple vanilla custard, but has an amazing creamy flavor to it. It has a touch of cinnamon that you get a taste of on the exhale. Good stuff! We have this available in 120ml bottles, and three different nicotine strengths. It is on sale right now at 25% off, for $18.71. Great buy for an excellent flavor. Coming in at number seven for our fabulous fruit flavor is Strawberry by Drip Wich eJuice. Drip Wich eJuice makes some amazing fruit and dessert flavors. Strawberry by Drip Wich eJuice is no exception. They describe it as "a totally rad waffle ice cream sandwich, slammed with a righteous strawberry syrup!" It has some strong strawberry flavor to it, along with an amazing creamy ice cream flavor mixed with a hint of waffle cone. This is a fruit and dessert vape juice rolled into one for a perfect five star product. We have this in both the 60ml and 100ml bottles, with four different nic levels. It runs $24.99 for the 60ml bottle and the 100ml bottle is on sale for $26.24, which makes it a better purchase. Coming in at number eight for our menthol flavor is Jungle on Ice by Carter Elixirs. This is a perfect go-to menthol flavor that mixes in banana, pineapple, pear, strawberry, guava and just a hint of menthol, enough to make it just perfect. I have talked about this one before. It has 39 reviews and a strong five star rating. You cannot go wrong with that. We have this available in 120ml bottles and five nic levels for $20.00 a bottle. Perfect flavor and great price! Next on our list for a great nutty flavor is Hazzanova by Crazed Chemist Liquids. Hazzanova is a flawless creamy fusion of hazelnut, butter pecan and vanilla custard. It makes for the perfect nut flavor. You get the strong taste of hazelnut and butter pecan, and it mixes well with the vanilla custard. YOu really cannot ask for a better fusion. We carry this in both the 30ml and 60ml bottles, with five different nic levels. It currently runs $9.99 for the 30ml bottle and $14.99 for the 60ml bottle. Ringing in at number ten (lords a leaping) is No. 32 by Beard Vape Co eJuice. Beard Vape Company puts together an amazing pastry vape with strong cinnamon tones to it. Who doesn't love a great funnel cake? If you haven't tried this vape juice, or anything from Beard Vape before, maybe it is time you try some. We have this available in 60ml and 120ml bottles, with three different nicotine levels. It currently runs $15.00 for the 60ml bottle, which is 25% off right now. At number eleven is #2 (Original Tobacco) by Brewell Tobacco Series. It's the perfect flavor for "pipers piping", as it is our recommendation for the perfect tobacco vape. This is not just an ordinary tobacco flavor. #2 combines the rich tobacco taste with a strong nutty flavor, making for the right combination. If you like that rich tobacco flavor in your vape juice, we definitely recommend that you give this a try. We carry this in a 60ml bottle for $20.00. So, last but not least is our drummers drumming... It is our yogurt flavor. Bru-Berry Cream by Bru Juice is the perfect combination of tangy yogurt, blended with raspberry, blackberry and blueberry. You really couldn't ask for a better yogurt flavor. There is a strong creamy yogurt tone mixed with the perfect amount of fruit flavors. We have this available in 60ml bottle and three nic levels. It currently runs $20.00 a bottle. So, there are the 12 eJuice flavors of Christmas! They are definitely twelve amazing vape juice flavors that you simply cannot go wrong with. They are all five star rated products, and we have tried them all! Take a look around and pick something new to vape. So, until next week... Have a VERY Merry Christmas from our staff to you! Have a GREAT week and be safe!